This Frank & Eileen staple is 100% Italian woven modal. Great for the casual effortless woman who loves comfort with some chicness sprinkled on top. The Barry is an original classic that's fitted and curved in the back and sides for the perfect feminine silhouette. For everyday and you can dress it up or down. The length hits perfectly at the hipbone creating a tailored look. 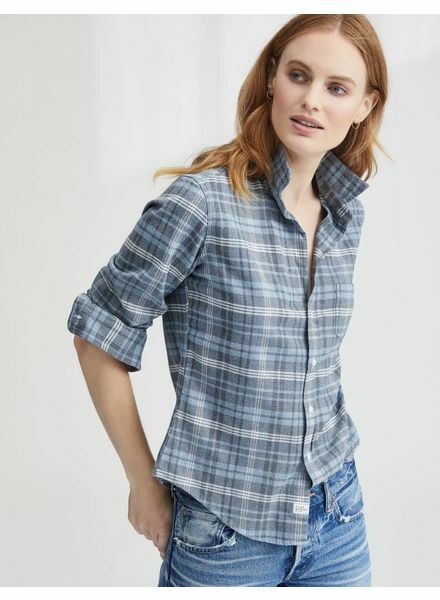 Taken from the men's Italian shirting, Grayson has a classic fit with a longer shirttail and just enough length in the front to feel comfortable when paired with leggings or when tucked into jeans.